MainAll NewsMiddle EastQatari Emir said relations with Israel are good - or did he? Qatari Emir said relations with Israel are good - or did he? Arab media quotes Qatari Emir as saying his country’s relations with Israel are “good”. Qatar says quotes fabricated. 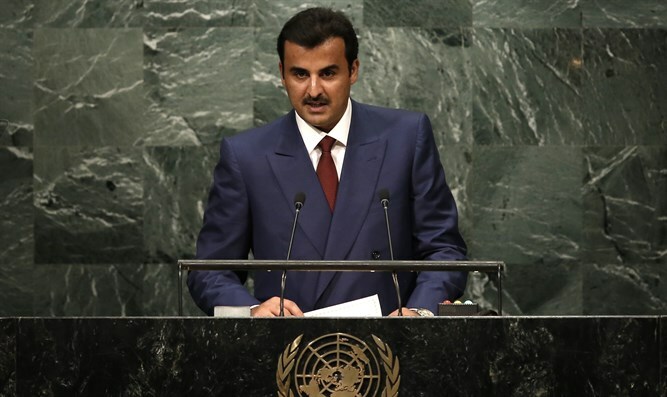 Arab media on Tuesday quoted Qatari Emir Sheikh Tamim bin Hamad Al-Thani as having said that his country’s relations with Israel are “good” but that Doha has “tensions” with President Donald Trump’s administration, while calling to end the hostility towards Iran. Qatar, however, later said the comments attributed to the Emir were fabricated and that its news agency had been hacked. “There is no wisdom in harboring hostility towards Iran,” the Emir reportedly said, adding that Trump is facing legal issues at his home country as claims over his Russia links continue. He also reportedly claimed relations with Israel are “good,” while insisting Hamas is the official representative of Palestinian Arabs. Qatar has been a major backer of Hamas and has provided more than 1,000 apartments to residents of Gaza whose homes were destroyed during Operation Protective Edge in 2014. Reports in 2015 indicated that Qatar halted its financial support for Hamas in order to push the group to change its policy against Egypt, which Qatar had just reconciled with. As for Qatari-Israeli relations, Qatar’s Foreign Minister in the past ruled out the possibility that his country would cooperate with Israel, accusing the Jewish state of “offending 1.5 billion Muslims”. This, along with Qatar’s backing for Hamas, make the comments attributed to its Emir puzzling. Indeed, after the comments attributed to Al-Thani were widely disseminated, by news outlets such as Al-Arabiya as well as on social media, Qatar flatly denied they had been made. The country claimed, according to Walla! News, that the website of its official news agency had been attacked by hackers. A diplomatic source in Doha was quoted as having told the Turkish news agency Anatolia that Al-Thani never made those remarks.